Most photographers don’t arrive at a photo shoot armed with poop bags, but for Jillian Parks, it’s a must-have. A strategically hidden squeaky toy captures her clients' attention because they don’t typically go for the whole “say cheese!” gimmick. And while they don’t say much in words, the Morro Bay photographer looks for cues like the wag of a tail to tell if the photo shoot is going well. 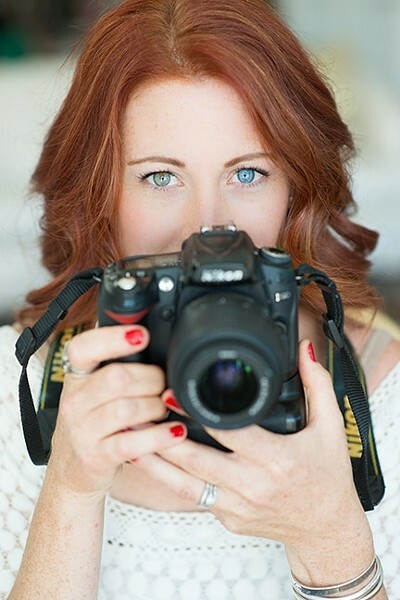 About five years ago, Parks was substitute teaching in the San Luis Obispo area when a friend asked her to assist with photographing a wedding, and soon Parks was taking her own photos. While her friend’s bread and butter was portraits and weddings, Parks couldn’t decide what to specialize in until a friend asked her what she’d want to take photos of for free on a Saturday morning. Her happiness-inducing photo series, Pets in Love, is currently on display at BlackHorse Espresso and Bakery on Foothill Boulevard in SLO. For a girl who grew up on a farm in the Central Valley with dogs and a gray fluffy cat she pushed around in a stroller, pet photography was a natural fit. 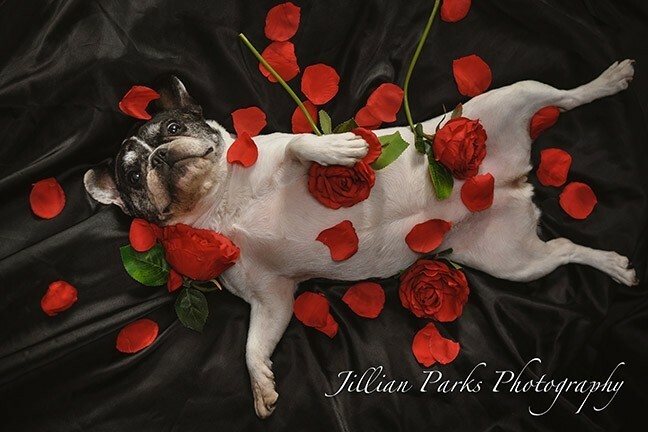 Today Parks specializes in candid photos of peoples’ beloved furry family members and weddings that often feature a pet or two. Across the Central Coast, her photos can be spotted at local veterinary practices and shelters like SLO County Animal Services, where Parks often volunteers because she knows that an animal with a nice photo by its name online is more likely to get adopted. For these shoots, Parks likes to bring a box of costumes and props. BEHIND THE LENS: Morro Bay photographer Jillian Parks specializes in pet photography and weddings that include fur children. For shoots with clients’ pets, where the animals are more relaxed, Parks comes armed with a box of tennis balls, (rejects donated from local courts) and starts out on the ground on her tummy so the pups can get comfortable with her, maybe lick or sniff the camera. While her clients are mostly of the canine variety, Parks also shoots cats and even a goat or two. Once, a friend’s hamster became the star of a series of photos, from sitting on a toy dragon to peeking out from the windows of a dollhouse. When owners tell her, “You’ve captured my dog’s look,” Parks says she has that same “aha” moment all over again, even if her own pups, Rico and Bailey, sniff her suspiciously when she gets home from work. While Parks also has her own human kids, she knows just how special that bond between man and dog can be. 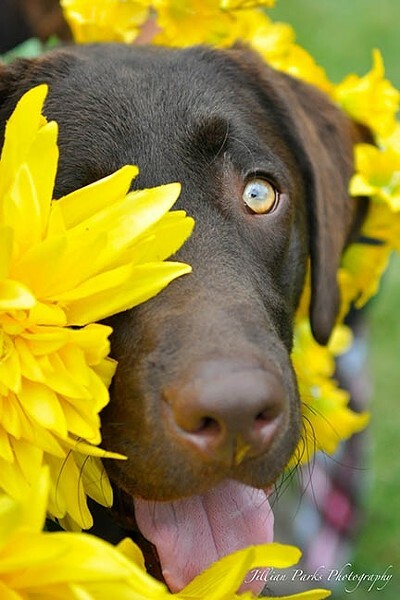 KEEP ON WAGGING: Jillian Parks’ collection of canine focused photos, Pets in Love, will be on display at BlackHorse Espresso & Bakery on Foothill Boulevard in SLO for the month of February. For more on Parks’ work, visit jillianparksphotography.com. Crazy dog lady Ryah Cooley can be reached at rcooley@newtimesslo.com.